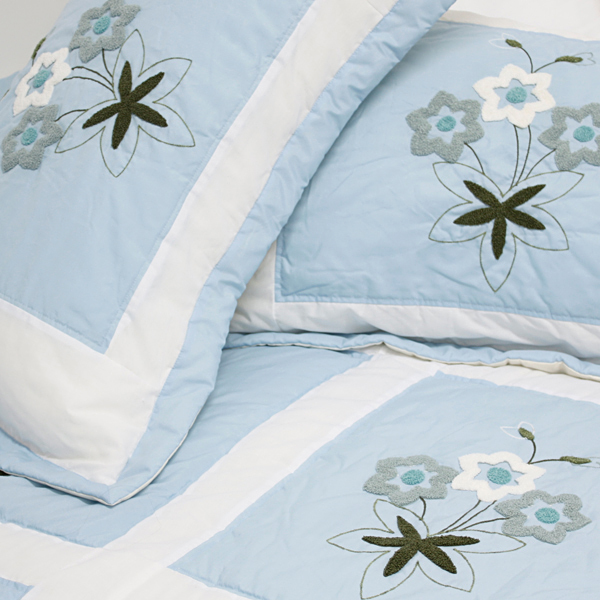 The set includes a full/queen size quilt filled with 25.3 oz batting and two standard size pillow shams each filled with 1.2 oz batting, both with beautifully hand-appliqued patterns. 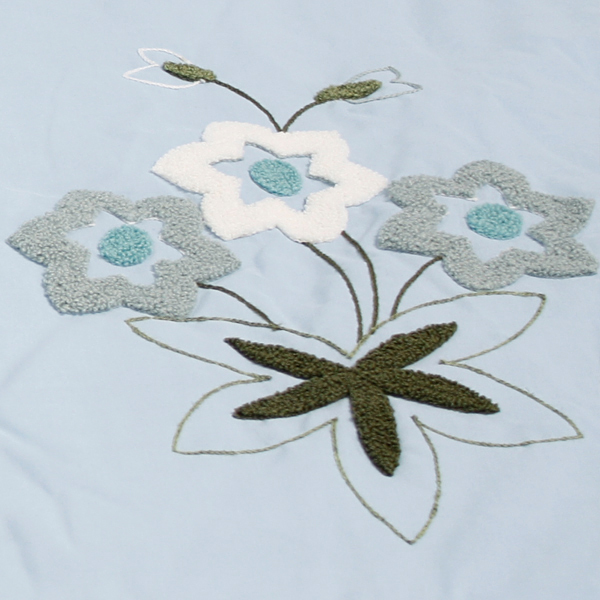 Each applique in the quilt and sham is hand assembled from start to finish. 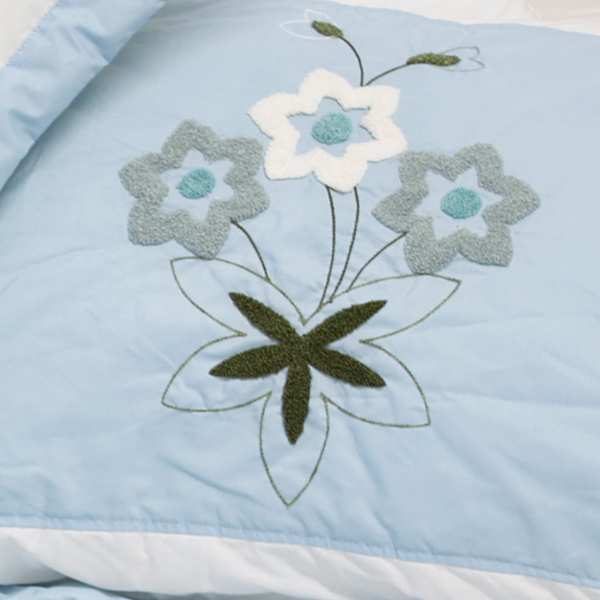 Each quilt set is therefore very unique and made with detailed craftsmanship. The quilt measures 86 by 86 inches and the sham measures 20 by 30 inches. 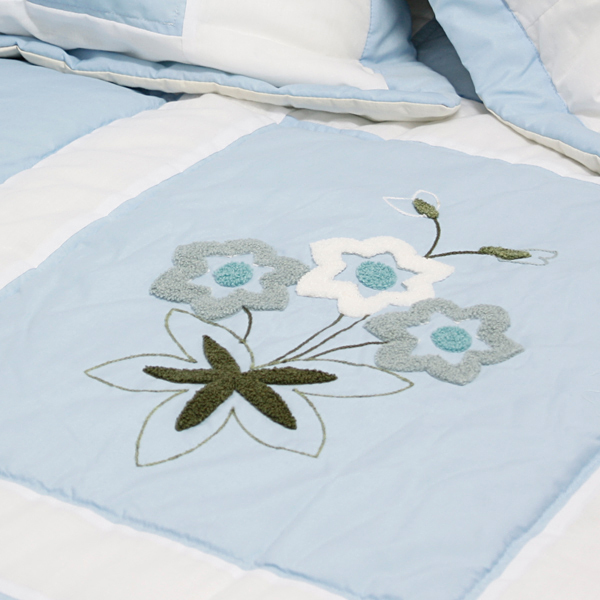 For convenience, all bedding components are machine washable on cold in the gentle cycle and can be dried on low heat and will last you years. This hand-appliqued quilt set will refresh your bedroom decor instantly, create a cozy and inviting atmosphere and is sure to transform the look of your bedroom or guest room.